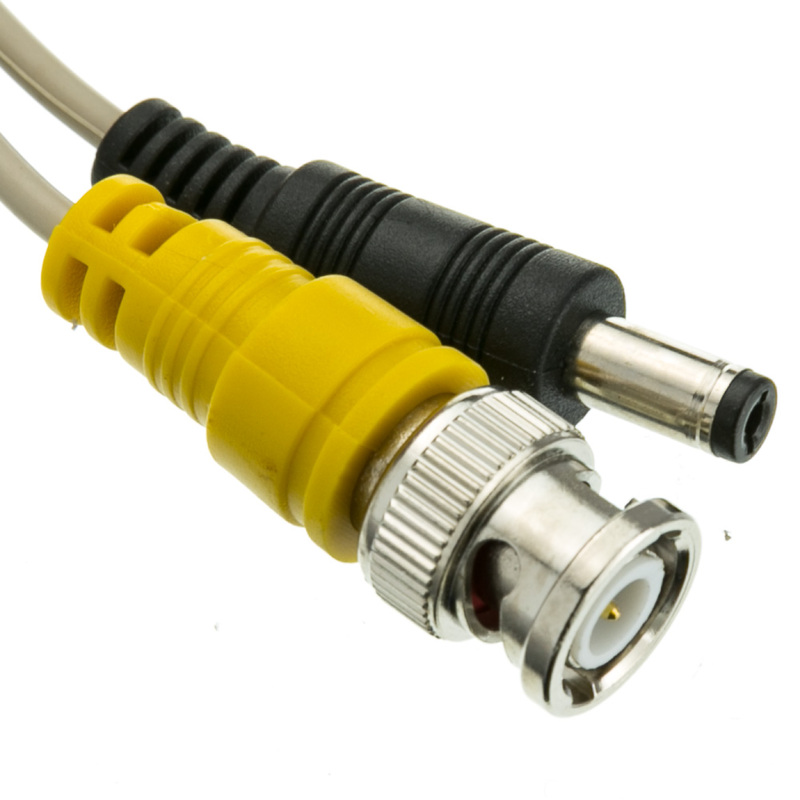 Use this 100 foot BNC and Power cable to run Video and Power to your camera. 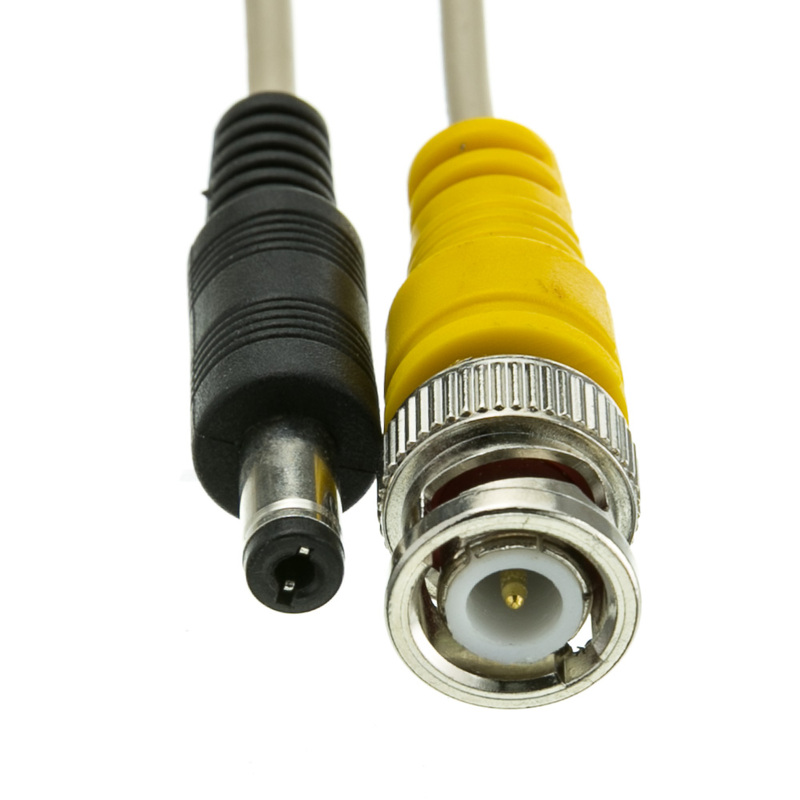 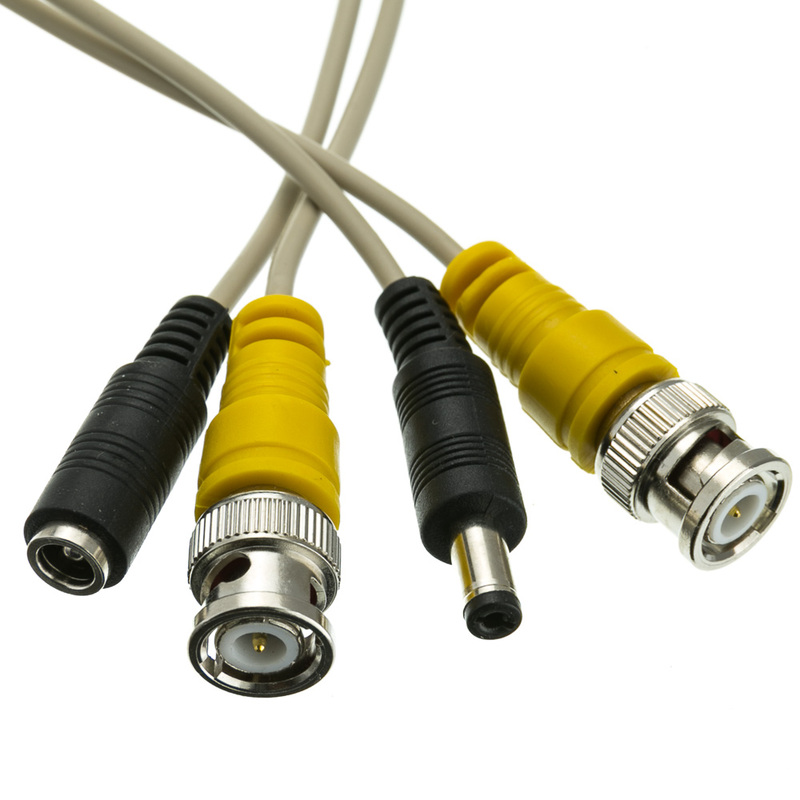 It has a male to male BNC for connecting your DVR and Camera for video and male/female DC power to extend your DC power remotely to your camera. 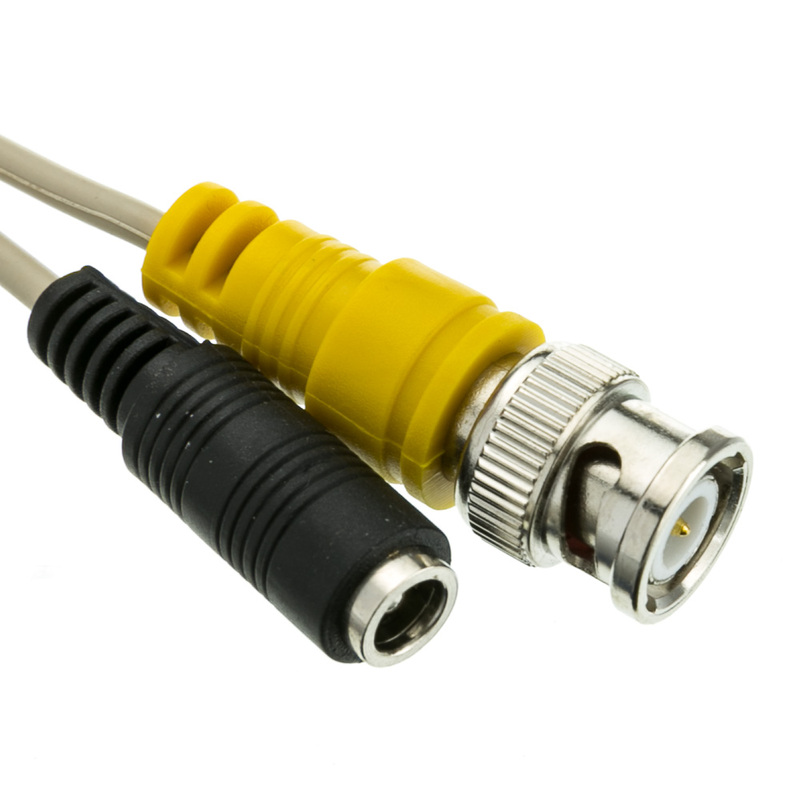 This cable was better made than I was expecting.Will order this product again when the need arises.